Hi there, my darlings! With the holidays just around the corner, I'm rushing to share all the beautiful collections that I've been working on! 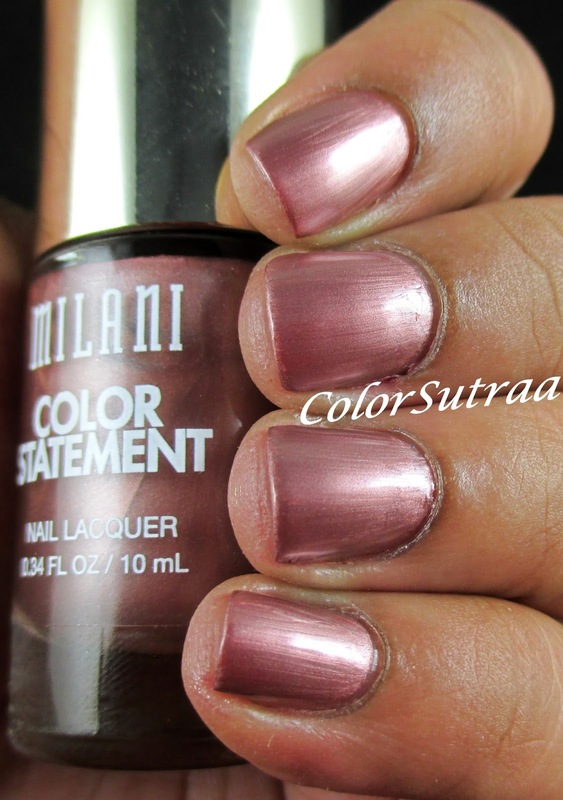 Today, I'll have my final two parts of the epic Milani Cosmetics's latest Color Statement line. I've been grouping them into sixes as I've been going along but this first six today is more of a mixed bag of sorts--half I love, the other half I'm not so sure about. But I'll let you be the judge of them! Just as a reminder, let me quickly mention formula and application. As with most of the polishes in this collection, the application of these six, unless specifically mentioned, was lovely. 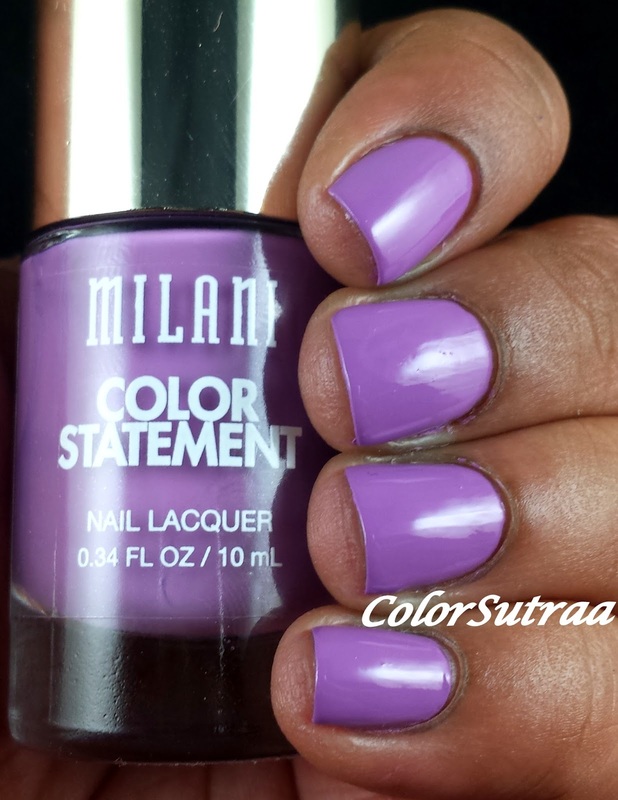 Most were perfectly opaque at 2 coats and no topcoat was needed. 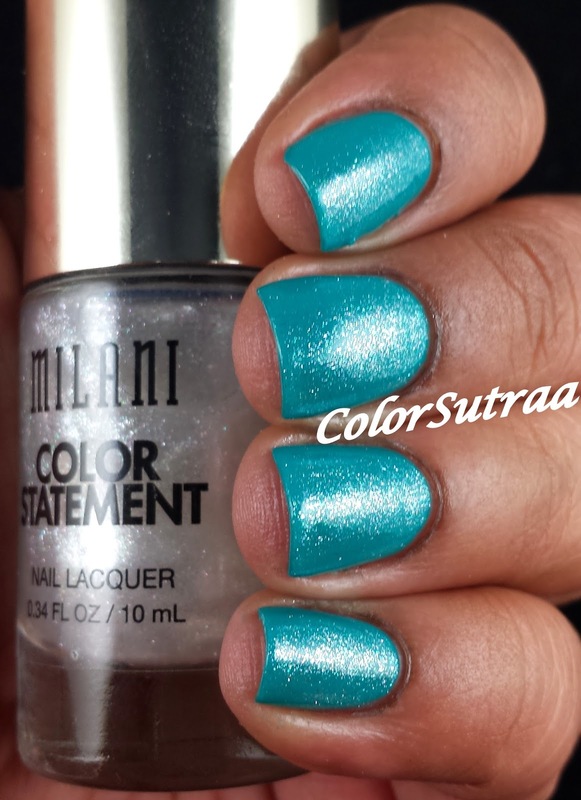 Okay then, ready for swatches? 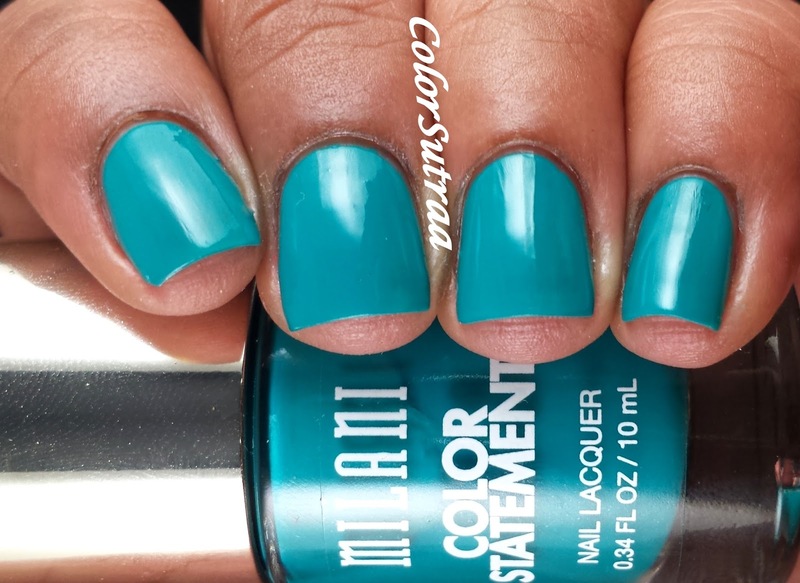 Tattle Teal is a bright teal creme. 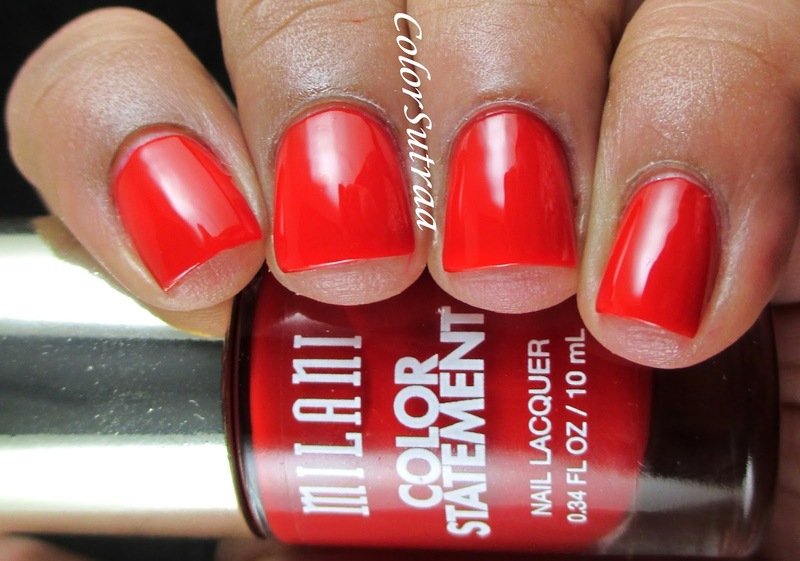 One of my favorites in this entire, mammoth collection, this beauty is perfectly pigmented and opaque in just one coat! Yup! Just ONE coat! 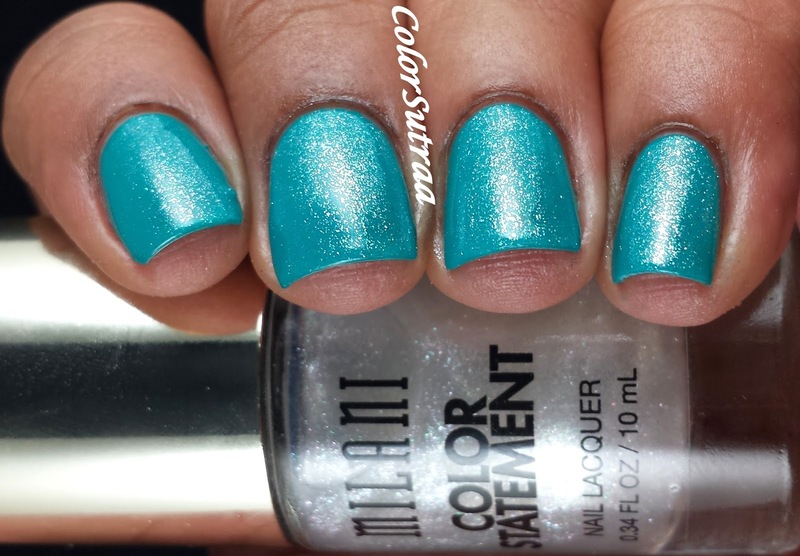 Pearl-Plexed Sheer is a clear polish with iridescent shimmer, perfect as a topper over your favorite creme. 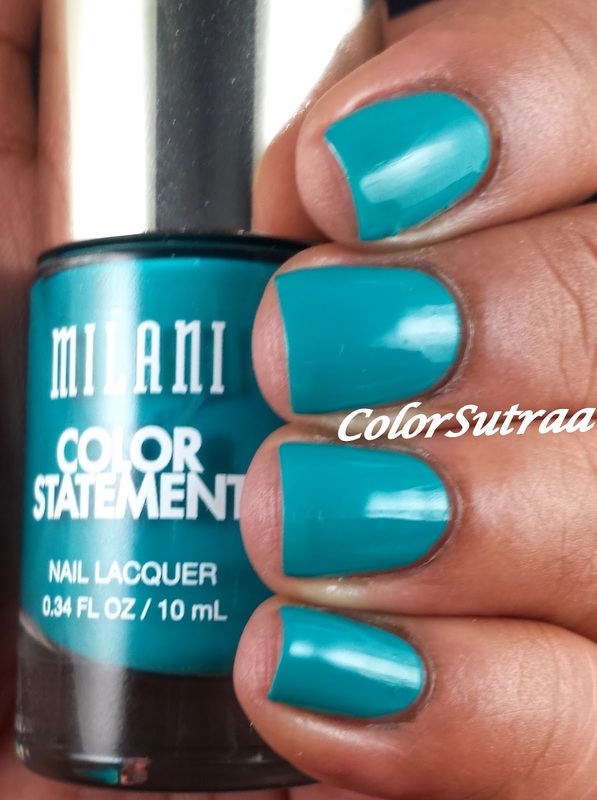 I added it to Tattle Teal above and this turned out to be my favorite mani of the entire collection! 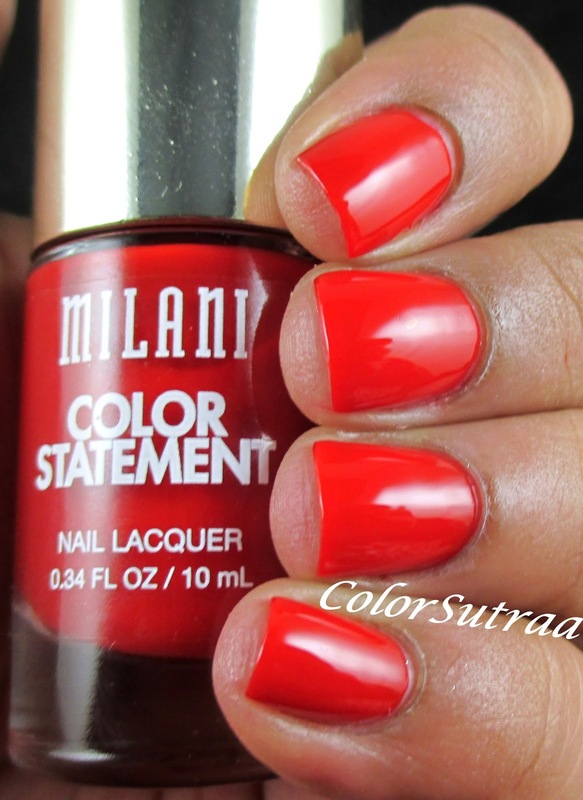 Modern Rouge is described as "fuschia red" but wore slightly more orange-toned on me. Gorgeous, shiny crelly finish--this just reminds me of perfect little hard candies! 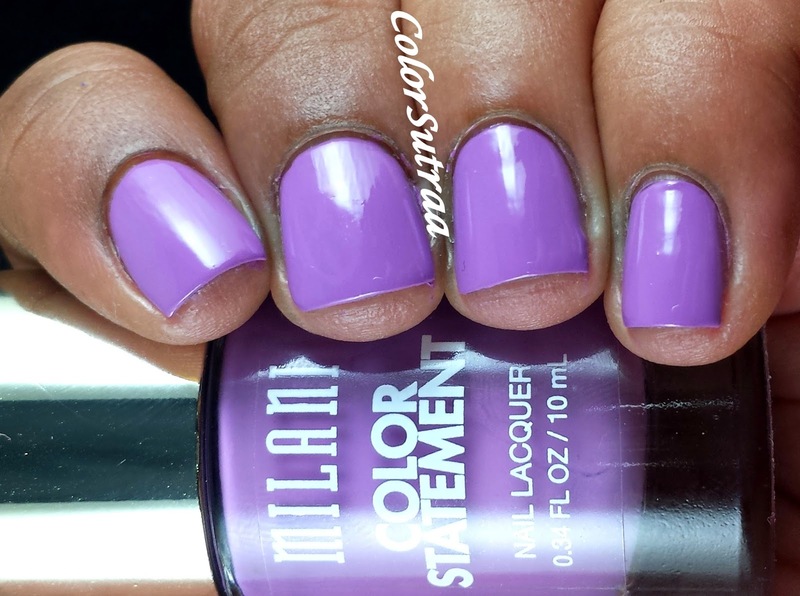 Imperial Purple is a vivid lilac creme. Slightly more pink-toned in real-life, this is absolutely gorgeous! 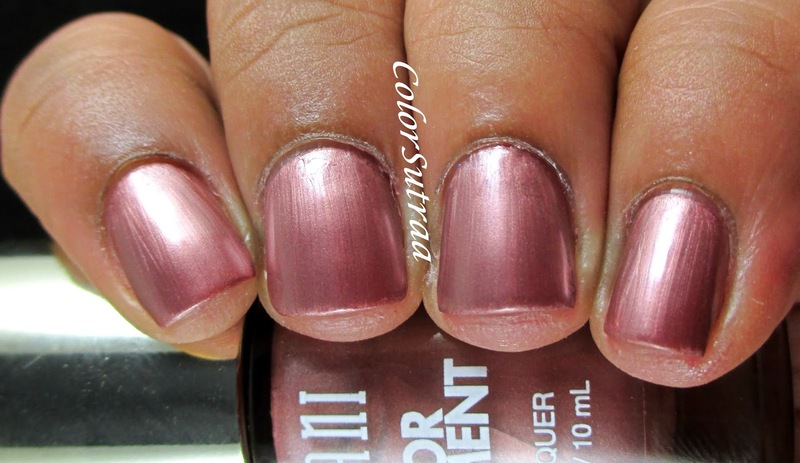 Bronze is a frosty, shimmery rose-toned bronze polish. I'm not a huge fans of frosts but this is just perfect for Fall! Doll Face is a light pink creme. If you love bright, Barbie pinks, this one is a great buy!